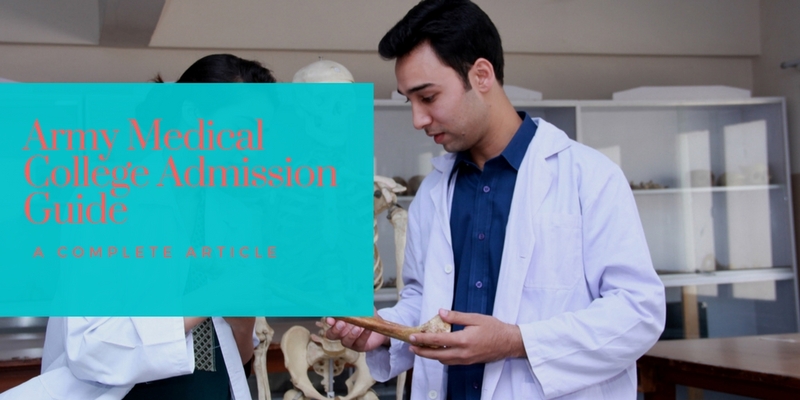 This complete guide for the student who is seeking for Admission in Army Medical college AMC and CMH Lahore Qims Quetta CMH Multan as a military or civilian cadet. you can also download army medical college admission form 2019. Scroll Down and download pdf format of AMC admission form. remember before filling form read this article completely. This post cover this question. The fee structure for AMC. This article cover all information. admission guide for girls and boys. All information are updated in this article on december 2019. All information are Latest. You want jo Join Army Medical college. Best Medical college in Pakistan. Start Preparation today from NUMS Preparation Booklet available online in 1500Pkr. With Home Delivery Across Pakistan. Boys are eligible for Following Three categories. The most famous way for boys to join Army Medical College and CMH Lahore Medical College is through the Medical Cadet Course. This is a Regular Commission for boys in the Pakistan army. This course is for F.Sc Pre-medical boys, not for girls. The selection procedure for Medical Cadet Course is same as that of the PMA Long Course. There will be preliminary tests including Written/Intelligence/Personality. After clearing this first test, there will be physical tests and initial medical test. The shortlisted candidates will receive an ISSB interview letter. Yes, If you want to do MBBS and BDS from CMH Lahore Medical College, then you have to take UHS test but for AM College there is no need for UHS test. On becoming successful, GHQ will issue you the call letter which you will receive at your home. You will be paid 30000 PKR per month by GHQ throughout your 5 years of MBBS or 4 years of BDS. During your stay in college, you will wear Khaki uniform and will be called as Cadet. After this, there will be 6-month training at PMA Kakul. On successful completion of training, you will be awarded the rank of Captain and you will serve in Army Medical Corps for at least 13 years. This period of 13-year is your bond with the army. For 2018, its online registration was from 20 June to 13 July. 170 seats for medical cadets in army medical colleges. other seats for medical cadets are in CMH medical college, Lahore. Combined institute of medical sciences, Multan and Quetta institute of medical sciences, Quetta also have seats for MC. Here are the eligibility criteria for admission as a medical cadet. The girls are not admitted to the army through the above method. Up to 2012, the girls used to join AMC and CMH through Medical Cadet Course.This method used to require the 13 year bond for girls with Pak army. As Pakistani girls have large family responsibilities on their shoulders besides this army doctor job, so army decided to stop girls' enrollment through this method. Up to 2015, the civilian girls and boys (including army brat) were inducted into both AMC Rawalpindi and CMH Lahore Medical College through NUST entrance test. But at the end of 2015, both of these colleges released themselves from NUST and now they come under the National University of Medical Sciences (NUMS). From 2016 onward, the admissions will be held in both these colleges through the NUMS entry test. The NUMS test will be conducted twice in the year. NUMS will conduct this test through NTS. Once in August and other will be in September. You can apply for both tests. Best score will be considered for merit. There is also no height criteria for boys and girls for getting admission in AM College through NUMS entrance test. Now, Don't write Army Medical College NUST. Write NUMS instead of NUST. The Army Medical College Rawalpindi website is no longer activated and it is taken down from NUST website. If you want to visit, then go to the NUMS official website. National Book Foundation and PTB books are available in the market. But NUMS Booklet is not available in the market. Nums Booklet is most important, in the NUMS 2017 test, more than 70% MCQs was from this Booklet. Remember, NUMS test is valid for all these 5 colleges. If you are a civilian candidate which means that your father or mother never served in the army, then you can take the admission by the following method. The army brat can also apply on these seats but they have to pay full fee as that of civilians. Paying Cadets Apply via GHQ Only forwards of army Shadah. After the test, you have to apply for getting the admission in AMC through the post. You have to just download the form from the NUMS website and send the documents along with this form through the post. After this, the merit list will be displayed on the official website of NUMS for AM College. Army Medical College Rawalpindi merit list 2016 of all students who applied for admission was displayed on the NUMS official website on October 21. The First merit list of selected civilian students was displayed on October 27, 2017. The second and final merit list was displayed on November 9, 2017. The admissions of other 4 colleges are also held by applying through the internet or by going to these colleges. The admission is on self-finance in the AM college, so the tuition fee of AMC Rawalpindi is 183,360 PKR/year for both MBBS and BDS. But for foreign students, it is 10,000$/year. The other charges like admission fee, hostel charges etc. The total fee of CMH Lahore Medical College for local students is 950,000 PKR/year. But it is 1,036,059 PKR/year with the hostel. For foreign students, it is 19 lac PKR/year. With hostel charges, it is 21 lac PKR/year. If you are the daughter or son of retired, late or serving military personnel from Army, Airforce or Navy, then you can get admission in AMC on army brat reserved seats. Such cadets will sign the 3-year bond with the army after passing out. As these are the bonded cadets, so these boys and girls wear the Khaki uniform throughout their degree. Such students apply directly to GHQ after taking the NUMS test. The closing merit for paying cadets was around 84% aggregate for both MBBS and BDS in 2019. The fee structure of such cadets is half as compared to that of NUMS students because they have a three year bond with the army. The fee is nearly 100,000 PKR/year. NTS had announced the online registration dates for this test. For the Ist test, the last date to apply is 15 Jul 2016. And for the 2nd test, the last date was 26 Aug 2017. Visit the Nums website for downloading the form. There are 2 forms available on the NTS website, one form is for Ist test and the other is for 2nd test. Entry Test for nums conducted by NTS. The test will comprise of the Multiple choice questions. These MCQs will be from Biology, Chemistry, Physics, and English. The test will have total 180 marks. There will be no intelligence questions in the test. There will be no negative marking in the test. You have to solve these 180 questions in 3 hours and 30 minutes. The result of the NUMS test will be announced on the official NUMS website. Army Medical College's selection procedure including the other 4 colleges will be decided on the basis of 50% NUMS entry test marks, 40 % F.Sc or Equivalent degree marks and 10% Matric or Equivalent degree marks. The aggregate marks criteria or merits of foreign students will be different. Here is a guide, how to apply for army medical college for foreign dual nationality Pakistanis. Graduation Diploma (9-12th Grade) or any other equivalent qualification with three science subjects of which Biology and Chemistry are essential and minimum 60% cumulative marks or equivalent grade. Instead of NUMS test, the foreign students can apply on the basis of SAT- II examination with the minimum, score of 550 in each of three science subjects of which two have to be Biology and Chemistry or they must have passed American MCAT with the minimum aggregate score of 24. The total number of seats are 270 in the college. 150 seats are for Medical Cadet Course, 70 seats are for both male and female civilian NUMS students and 50 seats are for Army Brat (both male and female). There will be no bond for civilian boys and girls to serve the Pak army after the completion of MBBS and BDS. These civilians boys and girls do not wear the Khaki uniform because they are admitted just with the help of a single entrance test. Only cadets of Army Brat and Medical Cadet Course wear the Khaki uniform in AMC and CMH as described above in Point 2b and Point 1a. But on Friday, the whole college wears the Khaki uniform whether they are bonded cadets or civilian NUMS students. The hostel is called a company in the army language in the AM college. There are hostels for Medical Cadet Course students and Army Brat's students. There are five hostels for male students and two hostels for the female student. Here are official contact numbers of army medical college. the official did not receive calls. if you have any question please ask in comment box we will help you. or you can use the contact us page. Here is the list of all departments.